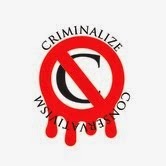 Criminalize Conservatism: Even MORE Conservative New Ideas For 2016! Even MORE Conservative New Ideas For 2016! After the success of a previous post, "All The NEW Conservative Ideas For 2016," we discovered that we had missed some of the new ideas - possibly because that outstanding governor, Scott Wanker, the 15th Republican candidate for President, hadn't thrown his crown into the ring yet. ...because engaged American voters will come in droves to hear the new Conservative ideas! ...because ALL of the new ideas from the Conservative "movement" are the result of Compassionate Conservatism! And the best new Conservative idea? Longer hours! Of course, there are NO "new" Conservative "ideas" - because the Conservative "movement" has only one goal: To drink the Kool Aid the Cons feed the poor and dumb, because the core idea of the Conservative leadership is to protect the rich from fiscal harm. Every other "idea" is smoke and mirrors to attract idiots to the voting booths. Who in their right mind other than the rich would vote Republican? Only the dumbest and meanest in our society.